Pharmaceutical company Pfizer said on May 13 it is blocking use of its drugs to execute prisoners. “Pfizer makes its products to enhance and save the lives of the patients we serve,” said the company in a statement about its position on its drugs being used for lethal injections. “Consistent with these values, Pfizer strongly objects to the use of its products as lethal injections for capital punishment. Pfizer’s obligation is to ensure the availability of our products to patients who rely on them for medically necessary purposes,” the company added. 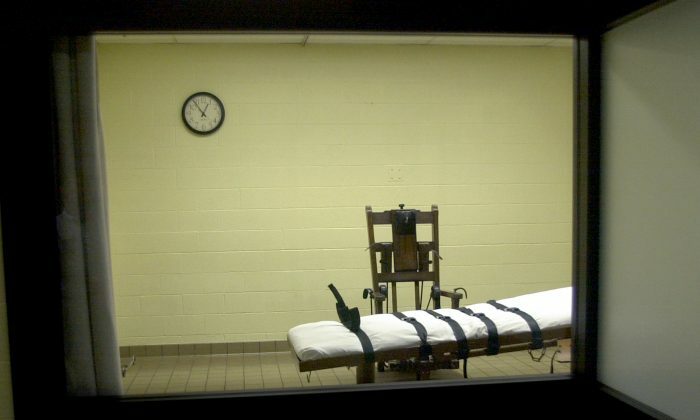 Pfizer said it was “enforcing a distribution restriction” for specific drugs that have been used or considered by some states for lethal injections in capital punishment. The company said the restriction limits the sale of products: pancuronium bromide, potassium chloride, propofol, midazolam, hydromorphone, rocuronium bromide, and vecuronium bromide, to a select group of wholesalers, distributors, and direct purchasers—as long as they don’t resell them to correctional institutions that will use them for lethal injections. Pfizer also said government buyers must verify that the products they buy or obtain will be used for medically prescribed patient care and not for other reasons. The company also announced that government purchasers must guarantee that product is for its “own use” and that they will not be resold or provided to other parties. The company’s announcement comes after a move last year in which Pfizer purchased Hospira for $15.23 billion. Hospira, an Illinois-based company, had previously forbidden the use of its drugs for execution purposes, like some other drug companies. About 25 FDA-approved companies around the world that are able to manufacture products used for capital punishment have now blocked the use of the drugs, according to human rights organization against the death penalty, Reprieve. “Pfizer’s actions cement the pharmaceutical industry’s opposition to the misuse of medicines,” she said. The company’s move comes as capital punishment decreases. There have been 14 executions in the United States so far this year, six in Texas, five in Georgia and one each in Alabama, Florida, and Missouri. In 2015, there were 28 in six states.